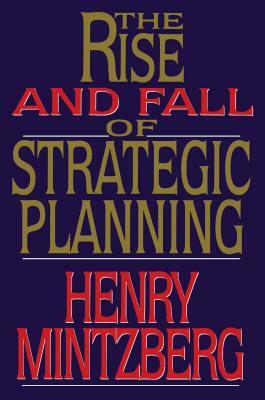 Mintzberg traces the origins and history of strategic planning through its prominence and subsequent fall. He argues that we must reconceive the process by which strategies are created -- by emphasizing informal learning and personal vision -- and the roles that can be played by planners. Mintzberg proposes new and unusual definitions of planning and strategy, and examines in novel and insightful ways the various models of strategic planning and the evidence of why they failed. Reviewing the so-called "pitfalls" of planning, he shows how the process itself can destroy commitment, narrow a company's vision, discourage change, and breed an atmosphere of politics. In a harsh critique of many sacred cows, he describes three basic fallacies of the process -- that discontinuities can be predicted, that strategists can be detached from the operations of the organization, and that the process of strategy-making itself can be formalized.